David Bach is perhaps best known for coining the term the latte factor, a phrase that has almost become a joke in personal finance circles. That's too bad, really, because Bach has some good ideas. And the latte factor is a marvelous concept, applicable to many people who casually spend their future a few dollars at a time. Bach's most popular book is The Automatic Millionaire. I've referred to it often, but never reviewed it until today. 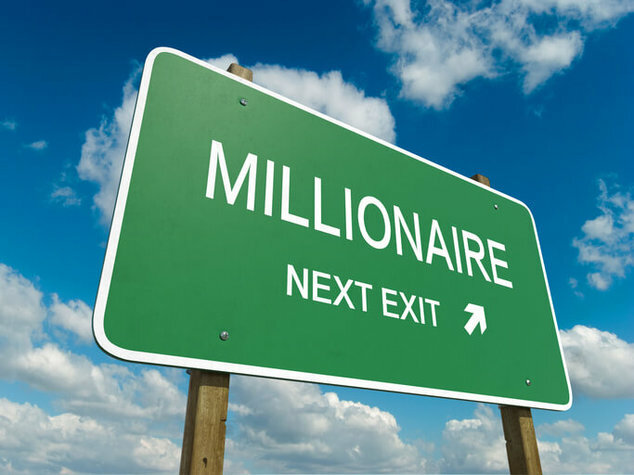 The Automatic Millionaire is based on sound financial concepts. The author encourages readers to eliminate debt, to live frugally, and to pay themselves first. But the core of his book is unique: rather than develop will power and self-discipline, Bach says, why not bypass the human element altogether? Why not make your path to wealth automatic? Bach argues that wealth is not a product of what we earn, but of what we spend. Most people believe that the secret to getting rich is all about finding ways of increasing their income as quickly as possible. “If only I could make more money,” they declare, “I'd be rich.” How many times have you heard somebody say that? How many times have you said it yourself? Well, it simply isn't true. Ask anyone who got a raise last year if their savings increased. In almost every case, the answer will be no. Why? Because more often than not, the more we make, the more we spend. Bach has an excellent point. Remember how you used to live when you were in college? How much did you spend each month? How much do you make now? If you lived like a college student, what sort of monthly surplus would you have now? If you lived like this for five years, how much could you sock away? What if you lived like a college student for ten years? Each person's latte factor is different. For my wife, it's actually lattes. For me, it's comic books. Regardless, Bach says that if instead of spending money on our splurges we invested an equal amount, we could be well on your way to becoming millionaires. He's doing nothing more than stressing the incredible power of compound returns. In essence, a latte doesn't just cost you $3.50. It costs you $3.50 plus the potential compound returns over the next 20 or 30 or 40 years. You're not just spending pocket change — you're spending your retirement. If we can forego these indulgences and funnel the money toward savings, we'll profit in the future. But the problem is — we like our 180-degree nonfat lattes. We're not about to give them up. How do we bypass the human element? You've all heard that you're supposed to “pay yourself first”. But what does this really mean? This concept simply states that before you pay your bills, before you pay your taxes, before you pay anything else, you set money aside for yourself. This isn't money to spend, but money to save for the future. “But how can I do this?” you might say. “I only make minimum wage.” It doesn't matter. This principle says that no matter how much you earn, you must force yourself to set aside something for your future. If you don't do it, nobody else will. In order for Pay Yourself First to be effective, the process has to be automatic. Whatever you decide to do with the money you're paying yourself — whether you intend to park it in a retirement account, save it as a security blanket, invest it in a college fund, put it aside help you buy a house, or use it to pay down your mortgage or credit card debt — you need to have a system that doesn't depend on following a budget or being disciplined. The best way to do this is to make our savings automatic. For some people, this is easy. If your employer offers a retirement account such as a 401k, take advantage of it. Max it out. Contact your human resources department and request that a fixed percentage — 5%, 10%, 15% — be transferred from your paycheck to your retirement account. It's best to do this now, but if you think you can't possibly survive without the money, then wait until your next raise. Instead of taking the raise in your paycheck, have the increased income set aside in your retirement account. Continue to live on the amount you've been earning. What if your employer doesn't offer a 401k? What if you want to do this on your own? Open an Individual Retirement Account. “Whatever type of retirement account you open, arrange to have your contributions automatically transferred into it, either through payroll deduction at work or an automatic investment plan” run by a bank or brokerage firm. If you can make saving for retirement automatic, why not do the same thing with your other financial obligations? The Automatic Millionaire features chapters on how to automate emergency fund savings, how to automate housing payments, how to automate debt payments, and how to automate tithing (or charity contributions). Bach's basic tenet is this: by removing human nature, we can automatically do the right thing with our money. We can strive to become “automatic millionaires”. If you have your personal finances in order, you probably don't need to read The Automatic Millionaire. But if you're struggling to gain control, this book can make a big difference. I read it in the winter of 2005-2006, as I was beginning to take control of my money. I learned a lot. I'm not sure that it's important to own The Automatic Millionaire — once you've read the book, you get it — but I think many people can learn a lot from what Bach has to say. This book is ubiquitous. You probably know a money-savvy friend from which you can borrow a copy. I guarantee that your local public library has it. If you've been struggling to set up a retirement plan, I encourage you to read The Automatic Millionaire. It just might change your life. There are 61 reader responses to "Book Review: The Automatic Millionaire". This book is a must own for any personal finance library. The principals are rock solid and Bach is a fairly amusing guy. 2) Great review. I’ve just put the book on hold through my local library. I’m a big fan of doing things automatically since I discovered that bills don’t pay themselves if you just leave them on the side, but instead accumulate late fees. I’d really encourage people to give this a try. My wife and I have only been doing this for a couple of years now, but you would be amazed at how much of your income you can live without. Start small at first…maybe just 5% of your pay. Once you get used to that, up it 2%. Once you start seeing money in the bank, it is much easier to find even more ways to save. Vik, I’ve added “seekingmillionaire.com” to my “blocklist” but it will be a day or so before the ad is actually blocked. My thoughts. I agree, 100%, with auto-savings. My husband and I both max out our 401ks via auto deductions by our employers. We also have an auto deduction set up for our emergency fund savings account which gets deducted first before we pay others. We do this auto retirement investing and auto emergency fund savings even though we are paying off $55,000+ in debt this year (contrary to Dave Ramsey). I also find that the more I think about financial health the more I think its very similar to emotional health. People often think I’ll be happy when …. fill in the blank (new job, new house, meet the man/woman of their dreams, etc.). For me, I figured out that I have control over my happiness, regardless of what external events are going on in my life I’m happy now. I think money health is very similar. People say (I used to be one of them) I’ll increase my savings when, I’ll decrease my spending when, I’ll keep my credit card spending under $1000 a month when…. fill in the blank. Its so easy to keep putting off paying off debt or putting off investing or putting off savings because there are just so many other things to spend money on or other bills pop up. One day, shortly after reading Total Money Makeover, I said I’m not spending money via credit cards ever again and I said to my husband we’re going to pay off all our debt this year. Its amazing to me now, looking back at what we have accomplished thus far this year, to discover that when you make such a commitment what you can get done. I’m ready to train to climb Mt. Everest at this point. This is a great book with a lot of “Ah-ha” moments. Most of the information is so simple that if you apply the principles you are well on your way to getting your financial life in order. I picked up this book from the library and read it in one sitting. I could not put it down. It lit a fire under me. That night, I increased my 401K % and set my Roth IRAs on auto-pilot with automatic deductions. I also opened ING savings and checking accounts to manage and automate my bills and saving for my emergency fund. Within 3 days I had the bulk of my finances organized and automated. If you are struggling on where to begin, read this book and start automating. I really like the idea of automatic millionaire and the idea of saving with out too much radical change to your lifestyle. It just shows you don’t need to make radical changes to save money. Hm. I’ll have to see if my school library has this book on hold. Great idea to automate these things. It makes life a lot easier. What would make this simpler still is if you got paid on the same dates each month! My wife gets paid on the last Wednesday of each month (just once a month in her job – nurse in Scotland), but that can be anywhere between the 22nd (if you’re in February) and the 31st of a month. As a result I tend to resort to processing these payments manually once she has been paid. I’m thinking of dabbling into reading PF books, and this is a good candidate for my first, so thanks for the review! As far as doing financial things automatically, I’m a little skeptical that it would work *for me*. I like paying bills, paying my mortgage, moving money around between my checking and savings, etc. I don’t mean I like giving my money to banks and credit companies, but I mean the actual financial act of paying feels good to me. It makes me feel responsible, and it makes me feel like I’m accomplishing something, and since I check my various accounts almost weekly there is a lesser chance of a problem like overdraft or missing a payment. I really enjoy the simplistic approach of the automation in finances. I actually have taken to buying the ‘Smart Couples Finish Rich’ for anyone of my friends that either buy a house or get married. I sure hope it helps work out for the best. Oh, I forgot to add, I haven’t actually started saving until 3 months ago. I was aggressively paying down debt and felt like my money would be put to better use doing that rather than saving. Even though I saw huge gains in this area, I kind of regret not saving at least something. Now that I am socking away 40-50% of my take home into a high yield savings, I absolutely love the feeling of watching it grow every month. Its funny that I can get that feeling over seeing the bank put $6-$7 measly dollars in my account, but it happens just the same. If I would have been reading pf blogs a couple years ago, I would have been more diligent about saving even small amounts. Any diet that results in extreme deprivation, financial or gustatory, usually backfires. So be it a latte or rock concerts, good wine or flowers, you need to budget in some pleasure in life. Just so the book takes that into account…. I read and reviewed this book too. Everyone focuses simply on the Latte Factor and cutting that small daily indulgence and turning it into savings. I don’t find anything wrong with that. But what bugs me is that most people don’t point out what is wrong with his book. They only accentuate the good things. I could keep griping, but your readers can find the two part review on my blog, both the good and the bad. Not to be the black sheep here, but I have some serious problems with the teachings of David Bach (I’m in awe of him as a writer though). Specifically, the idea that you should focus exclusively on saving more money rather than making more money is… mathematically unsound. All other things being equal, who is going to become a millionaire faster? Sure, your expenses increase as your income increases, but the ratio can still stay the same. In fact, I believe it becomes much, much easier to save your money as you make more money. Three of my investing partners are doctors. I’ve seen their financial statements and helped them make real estate investments. I’m sure not every doctor is the same, but two of them save approximately 30% of their income and one saves 70% of his income. Of course, not everyone is going to be a doctor, but increasing your income can make it much, much easier to start saving more money. Even if you only increase your income 10% by 10%, then you can increase your savings by 10%. Just keep the ratio the same. In my opinion, the true road to wealth is both making more AND saving more. While this book didn’t lead me to the automatic pay-yourself-first lifestyle, ever since I set up automatic deposits from my checking to my savings accounts, I never worry about putting money aside. In fact, I love getting the (too many) emails from HSBC telling me that they’re going to transfer the money. The best advice I’ve gotten on boosting savings: If you get a yearly raise from your employer, take that moment to increase your savings to a 401K (or IRA) by 1% of your salary. Say you get a small 3% raise. Moving 1% to your retirement makes still gives you a 2% boost in take home pay. You’ll never feel the pain of lowering your take home. Keep doing this year after year and you’ll be eventually be saving a pretty healthy chunk of your salary. “The Automatic Millionaire” was a great help for me when I started getting serious about personal finance. I think it could be the basis for class for high school seniors, I sure wish I had taken that class. I wonder why the latte factor has become a joke? I, too, think it’s a great concept. For fun one day I went to a compound interest calculator and put in only the cost of a soda at the gas station. I was surprised to find out that bottle of soda that I thought cost me $1.40, would instead be worth nearly $70 if I saved the money for retirement instead. That’s one expensive soda! I always sit down the morning I get paid and pay every single one of the bills I owe on my computer and have it come out as close to that day as possible. I try to keep a couple hundred in checking as a pad and use that to take any friviolus spending or emergency cash out of. So by the time the next check comes around and I can see how much ‘overflow’ there is and if there isn’t much I know that we need to look at exactly where that money is going. books on becoming millionaires will be more and more common with inflation. The truth is that you can spend a million in retirement easy. You could also retire with a lot less and be happy. I have an engineering background, and I always think of money from a thermodynamics perspective. Q in and Q out. it’s all about the flow. Well, apparently I have been doing just what this book suggests, even though i had never heard of it! I have all of my bills that are the same each month done automatically (having the power company put me on the “budget” plan where they equal out all my monthly payments over the year REALLY helped). You have no idea how much my mother (I’m 26 for freak’s sake!) worries over this! She worries about “the identity theft” and other such things. Personally, i love it. I never have to worry about saving enough money to pay my bills: They’re already payed, with money i “never had,” since i have them deposited into a different account [automatically] then what my checking account is. It’s SO nice to know that A) i have the money to pay those bills; B) that i don’t have to worry about missing (another) deadline! I don’t know. its pretty easy to make $50K a year off of that much, just by investing in low interest low risk investments. $50K is more than alot of people make at their day job. Depending on how you structured it, you could even roll 5% back into the investment to combat inflation and you might still be doing better than the median income in this country even after taxes. Now, you won’t be jetting off to maui on a whim on that kind of money, but its still a pretty nice chunk of change for doing absolutely nothing at all. Also, don’t forget you would not have to continue to save 15% of your income for retirement anymore, as you will already be retired. I’ve always been curious about this book, but much of it appeared to be common sense rather than new information. Having rea the review it certainly appears to be the case, thanks JD! What I don’t really see addressed in many articles like this, is where is the line between being a saving/frugality nazi and having a nice quality of life? I don’t mean that someone has to have say, three lattes a day. While I agree that little things definitely add up over time, I think the focus should be more on following a sound budget that allows for “pocket money” which can be spent as the person chooses. Frugality should not be about a total excision of quality of life. Unfortunately, this is how it seems most personal finance writers talk about it. I think the author is pretty clear what the “GET” is. Giving up your daily latte will allow you to become a millionaire. This sounds like a great book. Thanks for recommending it. I’ve been reading your blog for a while and have found it very helpful and inspiring. But I was shocked at the sexist seekingarrangments.com ad that has been added. Could you try to block ads from that site too? Actually there is a book that takes the indulgences into consideration: Your Money or Your Life by Joe Dominguez and Vicky Robbin. One time-consuming but ultimately eye-opening exercise in that book relates to determining how much time you need to spend working to purchase an item. (Factors in commute time and unreimbursed job expenses.) The whole point of the exercise is to bring balance into your life. Is it worth working x hours in order to buy that latte? those new shoes? go on vacation? I have found the exercise worthwhile, and have used it for years when making purchasing decisions. I haven’t read the book, but I’ve listened to a podcast of Bach giving a presentation about the Latte factor and a few other concepts. I was already doing many of the things he spoke about, but the concepts made me think about what I was doing and how to relate the idea when speaking to other people. Even if you have your finances in order, reading this book, or being familiar with the concepts, is a good way to solidify your own thoughts on investing. I haven’t read the book, but I already do everything it’s talking about right down to automatic charitable donations. Guess I don’t need to read the book. Thanks for the review. I’ve just started reading PF books and will certainly add this to my list at the public library. Even if only 5 pages are worthwhile, any tips I can pick up or even just reinforcement of trying to change my spending habits is extremely useful to me at this beginning, “transitional” stage. Our finances are pretty automatic. My pay gets split between two accounts (my sanity allowance, and our savings). My husbands gets split between the bill paying account and his sanity allowance. I don’t even notice if I get a raise, because the balance of my pay ends up in the savings account before I see it. #18. Jon Morrow. On one hand I agree with your criticism about earning more ultimately meaning more than saving more. I’ve had to do that analysis on more than one occasion: no amount of making my own lunch would make up for the drop in income if I went from my current high-paying job to working minimum wage. On the other hand, many people have more control of the spending aspect than the earning aspect, so a focus on both have their place. Back when I was a financial advisor, this is the book I gave to every new client. Yes, its quite basic to those who pay attention to finances (such as those who frequent financial blogs) but is is pure genius to the average person. Another one I like for a basic grounding is “The Wealthy Barber”. I would like to see both books become required reading in high schools. I recently started a job with a bank, and realised that a lot of people overdraw their accountts when setting automatic payments. A lot of people tend to neglect keeping an eye on their finances or believing payroll will always get it right. For me I set a recurring alarm on my mobile phone calendar to prompt me on payday. I’ll check to make sure payroll has done their job and if they have I’ll immediately transfer extra savings to a high yield account. And also make sure that I have transferred sufficient funds to my other accounts where mortgages/insurance/bill payments are automatically deducted. #39. Daria. I understand. You can take immediate action by focusing on frugality and see immediate (if small) results. Stop buying those lattes and going out to dinner and you’ll notice a few more bucks in your bank account by the end of the month. On the other hand, I believe people *think* their income is harder to control, when it’s not. Potentially, you could go in tomorrow, ask for a raise, and increase your income by 20%. You could also move your savings out of slow growth securities that earn you 5% and buy a foreclosure that earns you 30%. I’m not saying you should do either, necessarily, but I think you *can* control your income. It’s not always as immediate, but immediacy and control aren’t the same thing. Focusing on making more money is just as important in the long run. This was a nice review of a book that I like. When I first read it, I began by making my savings automatic (at that time ING), expanding my 403B to 5%, and starting up a Roth. I read it again a year later and pushed me into saving about 20% of my income. It is a simple but sound read…worthy of going back to every so often to remind yourself to save more, make more to save, and be more frugal. some time ago I can prepare them myself. Don’t be talked into buying an expensive machine for it. You don’t need it. @Jon Morrow: While true, it’s important to spend a little time on increasing income on any personal finance blog, there are already tons of sites and blogs dedicated to that kind of thing. JD’s blog is called Get Rich Slowly, and I appreciate that it’s not geared towards sketchy wealth-building schemes, and how to live modestly, but also well, on moderate incomes, and save and invest for the future. Any PF blogs that start talking about multi-level marketing schemes or making millions on foreclosures and I am so out of there. I like discussion of side projects/hobbies used to make extra cash on the side, but beyond that it becomes kind of a separate thing for me, that I’d go to a different reading source for. Sara, thanks for saying what I was thinking and getting me to reply. I didn’t really want the possibility the fact that I might agree with someone who is promising 30% returns on real estate lingering around. I’m tired of random people preaching “passive income”. It’s one thing to find a way to earn additional side income or asking for a raise, but another to throw all your savings into risky ventures. I’ve seen too many people hurt with that. This was the first personal finance book that really got to me. The idea of paying yourself is so simple, but the most impressive aspect is seeing the compound interest. Since I’m just starting out, I realized the amount of time I have is a once in a life time opportunity for my self. This book made me realize why it is important to start saving ASAP. Can I just say that suggesting that people are going to lose money in a 401-k over the long term is amazingly irresponsible? You are somehow suggesting that the theory of compounded growth over long periods does not hold. Are you sure that you have the info to make that call? I don’t think you do. Not only that, by suggesting that a large number of people (who obviously haven’t read the book; otherwise they’d have a better investment for their 401k) have a bond fund as their primary investment, which makes the 401k a questionable investment is borderline dishonest. There are major problems with a 401k, but these aren’t them. 10% is not too high. Since 1929, the S&P has returned 12% per year, 10% after inflation. You may suggest that past returns do not indicate future gains, but adjusting from 10% to 7% is completely arbitrary. You may use 8%, I actually do, but it’s not anymore *correct* than 10% is. I actually use 8% to make me invest more than I probably need, which is a mental parlor trick I’m playing on myself. Tax rates are currently lower than they have ever been in the US. I mostlyish agree that you should factor future tax rates into the trad/Roth IRA discussion, but not mentioning this is careless. It’s also decidedly more likely that future tax rates will rise rather than fall, due to the SS & health care messes. Plus, medical expenses for someone up in the years will make your needed income much more variable than a young person’s. Plus, your example of moving from $200k (at which rate, you can’t even contribute extra funds to a Roth IRA) to $70k at retirement would represent a huge lifestyle adjustment, and one that is probably fairly rare. The rest of your points are fair and accurate. Hi Overdog, Thanks for the comments. I replied back on my blog. Sure it’s nice to automate savings. And it’s nice to cut lattes. But the truth is if you have a mortgage that is 50% all the lattes cutting won’t save you! You are in the red every month by $1k? You need to move, sell the new car, etc. Bach addresses this in his book. He specifies how much should be spent on a mortgage. If you bought a house with a mortgage that is 50% of your income, you made a bad decision. I love this book. I’m a younger gentleman and after reading the book I find the information very useful. I opened my Roth IRA for the 2006 fiscal year and plan to add the maximum amount allowed each year. I’m self-employed (I’m blessed with being involved with the family business) and it’s a great benefit. Savings is a must and whatever can be cut out should be. Every now and then I do splurge, but only on hobbies that I truly enjoy. My parents always encouraged savings from a young age and now that I look back on all the times that I ignored their advice, I wish I could go back change the irrelevant purchase I made. As my father always said, “Son, it’s better to work hard now, save your money, and when you get older, live the life you’ve always dreamed of, but always have some savings for those rainy days.” It’s not verbatim, but I take those words to heart. I recommend this book along with The Richest Man in Babylon as part of a good financial library to always look to and keep one on the right path to success! I agree with your post and like that you have read the Richest man in Babylon. I have been drilling this information into my children for years and now that 2 out of 3 are out adults I am proud of how responsible they are with there money. You wrote this post several years ago and I am sure you have grown. I hope you are staying the course. This was one of the first PF books I’ve ever read. I really like Bach’s writing style, and this one really inspired me to get my money in order. I get the Latte Factor. Living in “Latte Land” – Seattle, it’s a little tough. Who else will support Starbucks? I really enjoyed the post. It all makes a lot of sense and cents! I’m reading a lot of money and business books to empower my business. I just finished a book called The Go-Giver. David Bach gave it a really nice endorsement. That’s where I was fist introduced to “The Automatic Millionaire. Great post. I’ll keep checking in to your posts! I recently picked up a copy of this book from my local library and read through it. After doing so, I went on your site purposely looking for a review to see what you thought of this book. I can’t say I agree with you. To me, this book is full of common sense material and recycled messages from most other personal finance books and gurus. I can’t say that it was profound or helpful in any way. That said, I understand some people need to go over these common sense materials and this book may be helpful to others. I just can’t see it. Another thing that struck me hard on this one is that in the book, he mentioned he wrote several other finance books and was a financial adviser or consultant teaching classes and seminars to other people. Yet here he was, living paycheck to paycheck without so much as a penny to his name or any savings to speak of (something like that). It wasn’t until he met with a couple asking for his advice and in return he ended up asking for their secret, did he pick up a thing or two. I honestly have to say I do not want to be taking advice from someone who is recycling messages from other people but have not achieve crap themselves. I am sure he probably is big now from selling all his finance books and what not, but that doesn’t mean he is in a position to be giving advice, then, or now. Perfect book for high school seniors. Really helps hammer home the power of compound interest for those that start early. Except his mortgage advise is crap. He says you can afford a 30 yr mortgage with payments of 29-41% of your gross pay! Then he goes into detail about this “secret” biweekly payment plan that magically takes 5-10 yrs off the length of the mortgage payoff. Uhhh, how about a 15 yr mortgage instead? He dismisses budgeting as if it’s silly and impractical while just assuming his reader can stay out of debt now the we know it’s bad. But then again all this book aims to do it get you in 401ks and IRAs so you’ll have something in 30 yrs. It does that part well. However those of us with more aggresive goals know that if we don’t budget then those retirement accounts and maybe a paid for house is the most that could be hoped for. I thought the whole point of the automatic millionaire was that you didn’t have to budget the money that shows up in your account, because everything else was already taken care of . . . since it’s automatic. That way the money you have, you know you are OK to spend on enjoying yourself. This is a book that offers more than advice. It’s a realistic look into building wealth and then protecting it. After reading so many comments regarding The Automatic Millionaire, I now see that I need to obtain a copy, read, learn and hopefully apply some of David’s savings techniques. With only a traditional 401 K, a modest retirement package, social security, & some online presence I can see the need for a wiser approach. I work online trying to save folks from being scammed while trying to earn online, perhaps their constant quests for success are their Latte’s & they may also benefit from this book?